Discussion in 'Apple Watch' started by Trocien, Apr 30, 2015. So I am about to see Age of Ultron tonight and I am considering not taking my Watch with me. I have noticed that sometimes the screen lights up if I move my arms and the screen is pretty bright in dark rooms. I would hate to be that guy that annoys those around me with the small, albeit BRIGHT screen in the middle of their movie. Has anyone tried this yet and would like to detail your experience? I am also considering just putting the watch in either Airplane mode but will still get the watch face with a big arm movement, or Power Reserve. I don't think it should be a problem unless you're eating popcorn. If so, eat it with your non-watch hand. Turn off the wrist raise feature should solve the problem. Turn off the raise wrist feature. I'll be testing this scenario during Avengers tonight too! I'm not too worried though since I'm wearing long sleeves. I have work tomorrow, so I'll have to wait for either Friday or Saturday. I'll be at avengers tonight as well! didnt know there was a disable for raising wrist, but now i do! thanks! Visited the theater a couple of times since I received my watch. I found that putting the watch into Power Saver mode cut down on distractions. Hold down the Contacts/Apple Pay button for a couple of seconds and select Power Saver mode. The raise wrist feature should really be tied to Do Not Disturb. Laurence Eckert and Pixelatic like this. 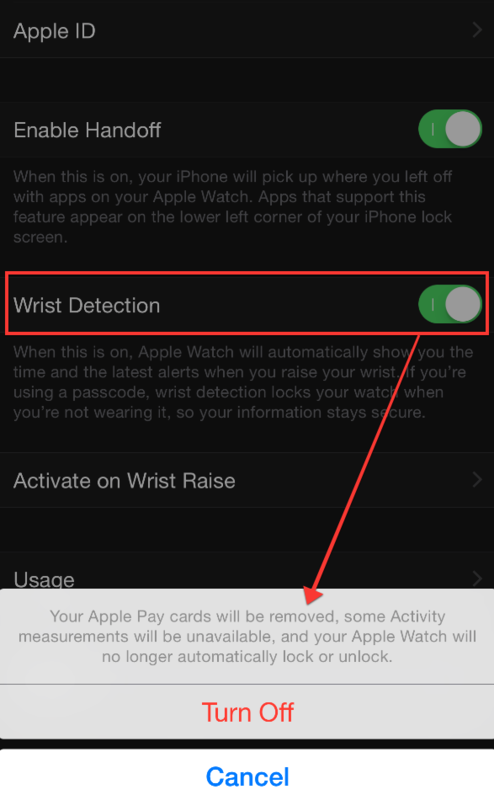 While turning off the raise wrist function is a good solution, most people won't even think of this and we'll be seeing a lot of lit watches in movie theaters. I created a new modular watch face and turned off all the complications just leaving the time in the upper right corner and made that red. It's pretty dim and should do just fine in the theater. I'll test it out tomorrow night. How was avengers? Just out of curiosity was it better then the first? Apple should make a "theater mode" similar to airplane mode. I have noticed that sometimes the screen lights up if I move my arms and the screen is pretty bright in dark rooms. I would hate to be that guy that annoys those around me with the small, albeit BRIGHT screen in the middle of their movie. If only Seinfeld were still running you know that would be a show gag that would irritate Jerry and George. I can see it playing out now... and it turns out to be Newman shoveling the popcorn in his mouth! Well, not any time soon. It was pretty decent, other than hulk getting shot out into space and vision and scarlet witch having an intimate moment, it wasnt too bad. The only reasonable thing to do as somebody already pointed out would be enable battery reserve, so that you have to physically push a button for the screen to come on. Kinda sounds off the wall just a tad but I know I'll end up seeing it thanks for the reply. Absolutely. I was about to post the same thing. As is so often the case, people post without really thinking it through or testing the solution themselves. I believe these are the same people who insist on using the "..gate" and "first world problems" phrases. Enough said. Thanks for these detail about the movie for those of us who haven't seen it. And why are you posting about that here? You could have restrained yourself. Completely inappropriate for this forum. All you did was invite some other person to discuss the plot. Does this forum have an ignore feature? Count me in for Avengers tonight as well. My plan is to put it on silent with the lowest brightness setting and see how it goes. I also plan on wearing a hoodie because my local theater typically keeps it kind of cool, so I imagine that I can just cover it with my sleeve if it becomes a problem. Additionally, I'm seeing it in IMAX 3D, so I suspect that my tiny little watch face is unlikely to distract anyone's field of view in a stadium seating IMAX auditorium. Hmm, maybe a future update will have this. I went to the movies the day after I got mine. I put it on do not disturb and it didn't bother me. The screen did light up a few times when I moved my arms and also when I went to check the time. It wasn't distracting because it dims in bright rooms anyways and a movie theater is never completely dark because the picture on the screen makes it bright. The people I went with didn't say anything to me about it bothering them so I don't think it's that big of a deal.